A two-hour car chase between police and an attempted murder suspect on the run brought the traffic in Los Angeles to a standstill. 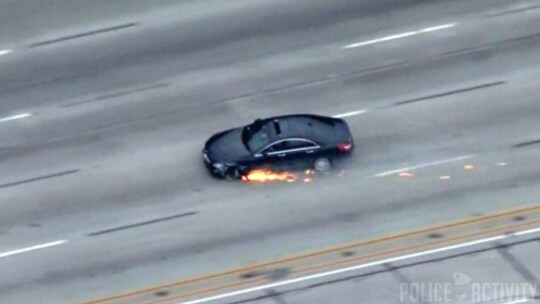 The suspect was spotted by police driving through Compton, California, on Thursday evening. He was described as dangerous and possibly armed. Don’t really know, and I did look for some info on it, but he really fucked up a nice car. Drove it like he stole it.